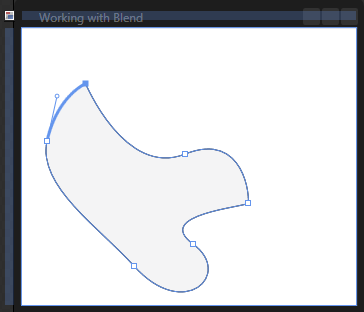 You can use the Pen tool in Blend to draw a Path object. A path is just a series of connected line segments or curves. You draw a Path by specifying a series of individual points. 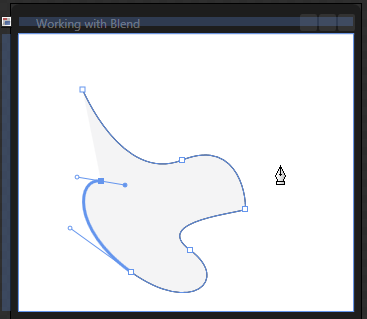 To start drawing a Path, first select the Pen tool in the tools panel. You can now left-click on the artboard to place the first point. 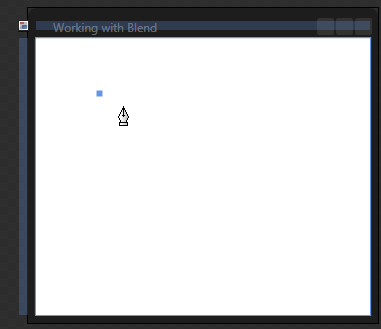 After you click, you’ll see the point rendered as a square blue dot. Left-click again to place the second point, holding the left mouse button down after you click. You’ll see a straight line segment appear, but if you drag the mouse while holding down the left button, you can create a curve. Continue in the same way, adding curves that each connects to the end of the previous curve. 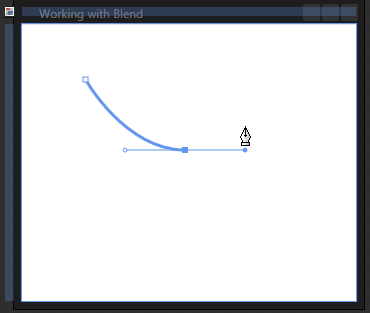 You can leave the Path object open, or click on the original point to close the curve.